Today, Vietnam is getting more and more famous to world-wide tourists with its stunning scenery of sea, mountains, UNESCO Natural and Cultural Heritage Sites, offering us chances to make so many different types of Vietnam holiday from luxury to adventure style: Fascinating Halong bay with 1969 unshaped limestone islands coming up one after one from green waters is the King destination for all cruise and kayaking tours in Vietnam. 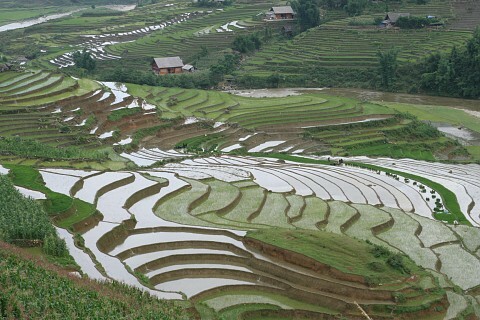 Sapa with stunning scenery of terraced paddy fields is the Queen for best adventure tour in Vietnam. Maichau is a charming and peaceful valley surrounded by the green paddy fields and stilt houses of Thai ethnic group, offering trekking tour Vietnam. Mekong delta is famous for boat tours through the canals and floating markets. 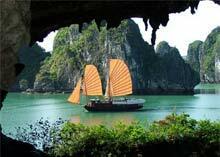 Following are the best Vietnam tour packages in adventure styel for Vietnam vacations. 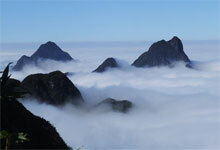 Copyright ©2009 for Vietnam adventure tours. All Rights Reserved.